This was a great thread. Good evidence on McCartney I didnt find elsewhere. And this really sums up a problem in our society. I am not closed to the possibilities. I consider them, and in 200 milliseconds I find a fatal flaw, and then I dismiss them. 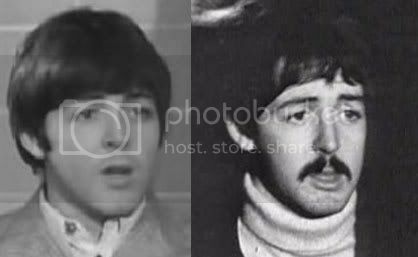 The different head shapes in Paul and Faul in the photos Winston posted above are a fatal flaw in your theory that they are the same person. globetrotter wrote: Most CT fans have a long list of oddly grouped qualities. One of them is an inability to accurately view, see and observe the world as it is. This applies to this CT. They lack the ability to be observant. Try observing the photos above. Yeah and keep in mind that these Italian forensic experts started out with the intention of debunking the "Paul is dead" conspiracy theories. But the more they looked into it, the more they realized that it was probably true. Last edited by Winston on September 5th, 2013, 6:24 pm, edited 1 time in total. I haven't bothered reading this thread but they all look like the same person to me. We would think his family or friends would speak out about this, but they were obviously silenced like JFK's family were. steve55 wrote: I haven't bothered reading this thread but they all look like the same person to me. Are you kidding? Don't you notice the huge difference in head size above? Also, in the b/w photos, can't you see the difference in nose length? It's very obvious. Look again, but with an objective mindset, not a "conspiracies don't exist" mindset. Probably. They have ways of getting to people. But Paul McCartney's girlfriend broke up with him after 1966, presumably because she knew it wasn't him. Also, after 1966, Paul suddenly became right handed, whereas before that he was always left handed. That doesn't make sense if it were the same person. His height also changed in that he was noticeably taller. He also vanished out of public sight for a few months as well. His voice also changed, and so they had to cover it up by morphing some of it and using overlays, I'm told. Look at the photos above again closely. Check out these photos of Paul McCartney before and after 1966 that show a difference in height. After 1966. Notice that Paul McCartney is noticeably taller than the others. Similar height with his girlfriend before 1966. Much taller than his girlfriend after 1966. I don't put much stock in cryptic clues from songs or album covers. Those are too subjective and can be dismissed as looking for patterns and seeing what you want to see. What's more important are the physiological differences between the Paul before 1966 and the one after. That's where the real evidence lies. Nevertheless, if you are into looking for clues, I know a brilliant lady named Clare from Canada who has studied this Paul conspiracy a lot. Here is her latest post about a new "Paul is dead" clue. 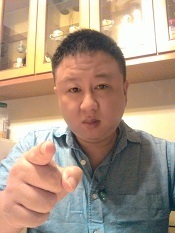 Mr. Wu I see a marked changed look in your photos as well from one to another, do you have a double? Moretorque wrote: Mr. Wu I see a marked changed look in your photos as well from one to another, do you have a double? Batman 1966 TV series with Adam West: Check it out!